Hello fellow 'Fetti Fans! 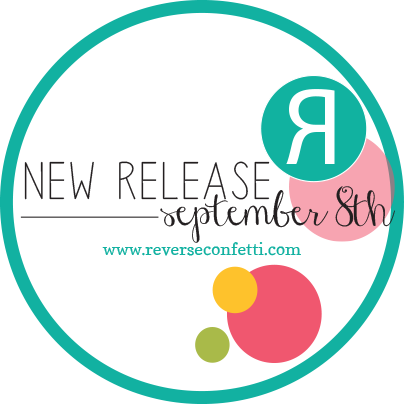 It is Day 2 of the Countdown to Confetti and Release Day is September 8th! 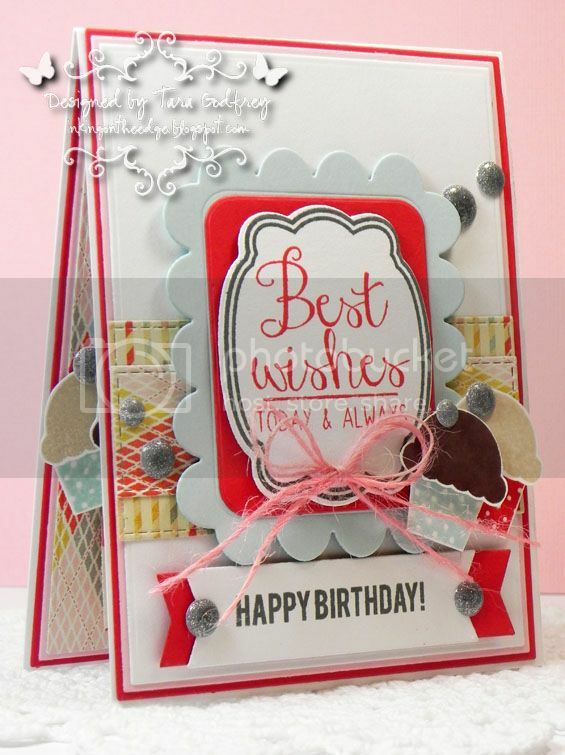 Today we are featuring the NEW In A Big Way Stamp set! SO many beautiful sentiments in this set! 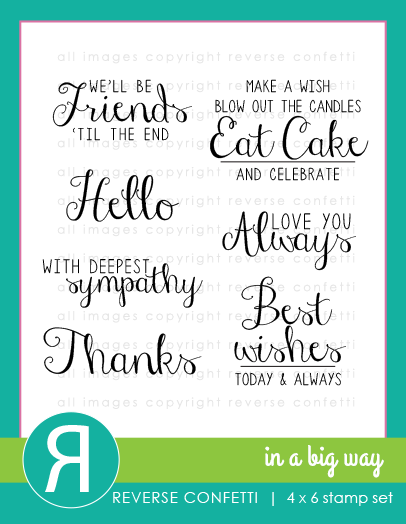 I loved the mix of sentiments in this NEW In A Big Way Stamp set perfect for so many difference occasions. 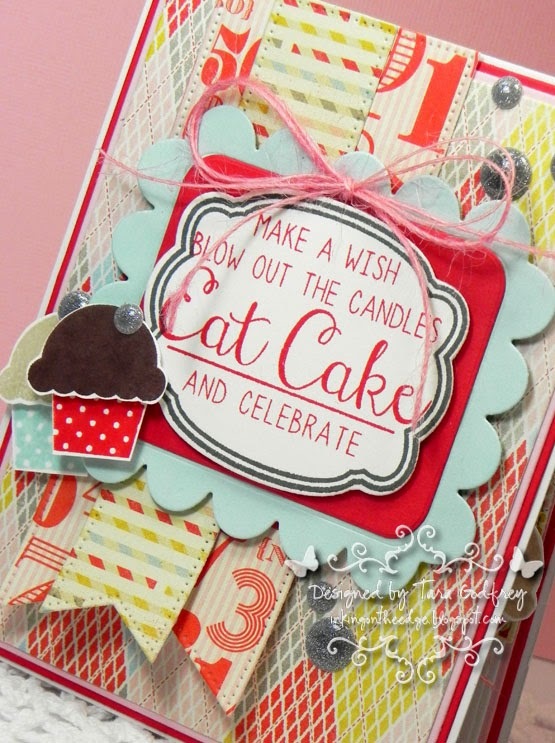 I especially loved this birthday sentiment and paired it with the pretty Authentique Wishes 6X6 papers. I stamped the sentiment on the NEW Give Thanks Confetti Cuts layered over the Love Note and Class Act Confetti Cuts. 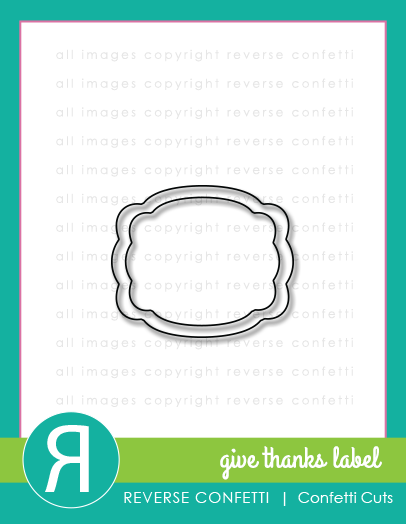 I used the Reverse Confetti Celebrate Cake Stamp set to stamp and cut out the little "cupcakes" for my card. I finished off the inside of my card, as always! I stamped another sentiment from the NEW In A Big Way Stamp set on the Give Thanks Label Confetti Cuts and added a few more "cupcakes"! Finally, I stamped another sentiment from the Reverse Confetti Celebrate Cake Stamp set on the fishtail banner from the Tag Me Confetti Cuts. Thanks SO much for stopping by today and havin' a little look at my birthday card for Reverse Confetti Countdown to Confetti with the NEW In A Big Way Stamp set. We have another sneak peak tomorrow so please come by to see what we have in store! TOTALLY AWESOME card Tara - LOVE IT, inside & out!!! The layers are ABSOLUTELY FABULOUS and the colors so pretty too - LOVE IT ALL!!! such beautiful layering and placement. I am in awe. love your work. I don't know how you pull it all together so beautifully! Well done! OMG. That inside blows my mind! We'll the outside too, but the inside is TOTALLY unexpected. Amazeballs! Who wouldn't love getting these cards? Wow! Love all the layers...inside and out! Love that first birthday card. What a way to make someone feel super special on their birthday! This is such a sweet card and all your various papers look great together. What a great way to celebrate a birthday! So much layering and so pretty! WOW!! These are fabulous...LOVE them both!! What great cards! I love all of the great texture and layers you added to them both! wow...love your use of color!!! Wonderful birthday cards. I like your choice of papers. Gorgeous - love all the colors, the dimension and the layers. It’s official: I am totally smitten with today’s release! Everything is calling my name, and your showcase card is certainly making “resist’ impossible! Fabulous!! 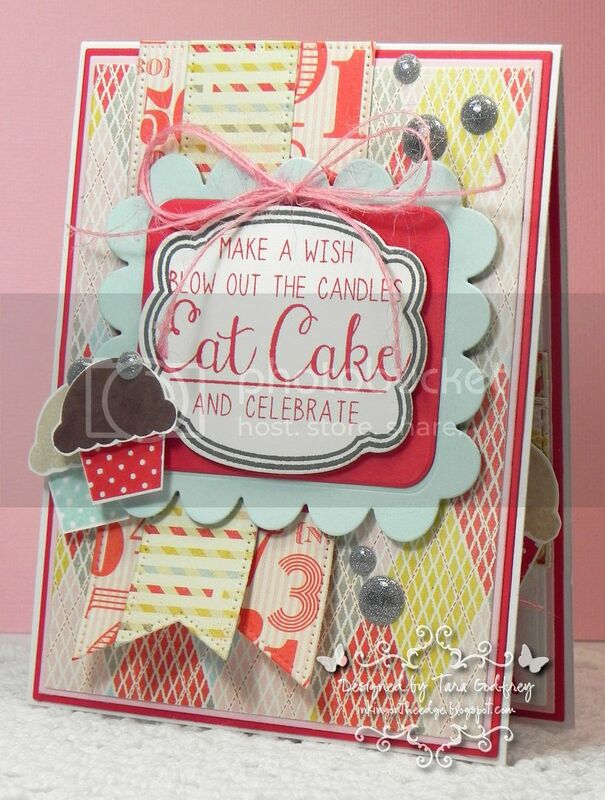 Such fun cards and LOVE the layers! wow Tara another amazingly detailed card! Love those coordinating papers. The layering is wonderful. And then you get to the inside of the card - it's as great as the outside. Adorable card! Love the fun colors and layers, and the awesome sentiment stamp! Fun cupcakes too! Super cute birthday card Tara. Love the fun and cheerful colors.